A healthy rooted beginning is extremely important for the whole well being of any child's life. We share with you here some of the most wonderful wellness products we use and have found to help kids grow up happy and healthy while also learning about how to care for their own bodies too. 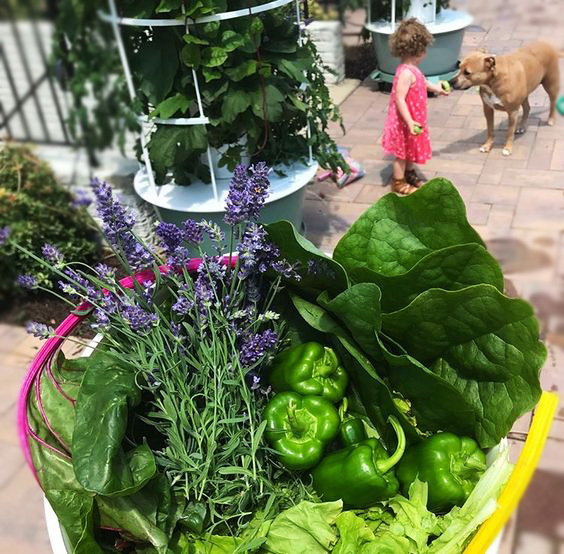 Aeroponic garden growing products are a wonderful way to help kids grow their own fresh foods anywhere and help them remain healthy daily too. These aeroponic garden growing systems are also being placed in schools, classrooms, and children's communities across the globe. School classes have been using aeroponic gardens to also help stock food in their cafeterias, donate to their community, and even sell to local restaurants. Local communities have been working together to use them in their schools and local children's community centers. Aeroponic growing garden systems are a new exciting innovative way for children to grow and share their own fresh growing greens right from home and learn about growing seeds too. Children love to watch as their green plants transform before their eyes. They are thrilled knowing that they planted the seeds from start to finish and then get to freshly pick and eat what they grew. They can also look inside and see and feel the roots of the plants growing strong. Both parents & Teachers can help encourage healthy habits in children at a very young age. FREE Nutrition for Kids ages 4-18! Click to sign up for your kids free nutrition! For each adult that signs up for their veggie and fruit capsule or chewable blends a child is now FREE! It can be for your own child, a grandchild, or it can be for a child in need that you would like to help give nutrition to. You can choose either their chewable or capsule veggie & fruit blends FREE for your child. As I talk about in my wellness video, I personally take their capsule blends myself along with their Complete plant based protein shake. I am personally also addicted to their chewable blends they are delicious and for me its a healthy daily treat! How important is children's health? Good nutrition is the foundation of health and inspires other healthy lifestyle choices. One of the best times to start establishing good health and nutritional habits is in childhood and at the very early stages of life. One of the best ways to establish good health within children is by the parents example and involvement in it as well. I love sharing these products with my clients because they truly touch the entire family as a whole. From growing your own plant food to taking in the proven daily nutrition. Taking whole food nutrition while pregnant is incredibly beneficial! We love this recording done by Dr. Mitra Ray on some outstanding whole food based nutritional benefits that can be used for healthy pregnant moms.